For any website, the most crucial thing considered is design and responsiveness. And, when it comes to the e-commerce store, accomplishing these two considered more than necessity. Well, these two factors fully rely on the content management system, the theme, and related elements. Are you planning to run an e-commerce store with Drupal Commerce? But, do you really understand why it’s useful for your online store? If you already know, the way to success is open. Drupal is a powerful content management system, best to offer responsive and flexible to any online store. With inspirational and good ideas will lead a way toward building an attractive store. The development involves less time compared to a two-platform system. The custom integration between two separate systems does not require extra effort in either development or maintenance. 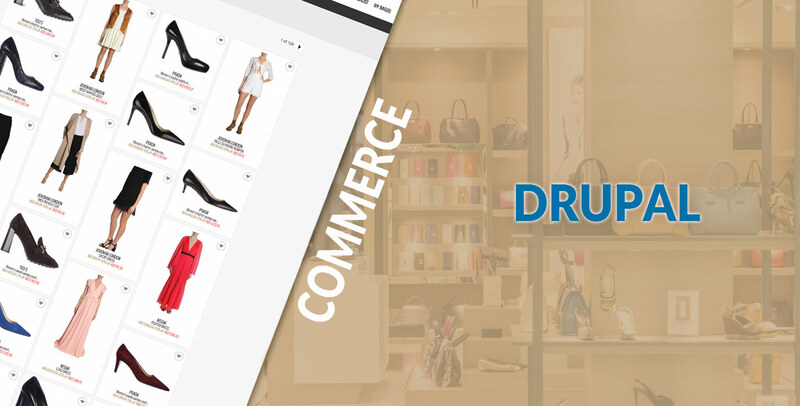 With Drupal Commerce site, the product management is easier, the one set of tools allows flexibility and highly configurable. Moreover, the maintenance team can easily learn one set of tool. Drupal Commerce, makes it easy to control website activities like SEO, CRO and website analytics. You have to work with one system only. This makes the customer journey much optimized, easier to keep track. Reporting and analytics tools available in the Drupal e-commerce allow you to view the total number of visitors falling on the website, customer conversion rate, and statistics relating to order value and frequency. The granular user and role management in Drupal allow controlling access to functionality within both the CMS and the online store. Moreover, it can control the features available to your customers. Drupal offers interesting and powerful community features, allowing to engage deeply with your customers. And this help in driving repeated sales and valuable customer for long. With Drupal Commerce, your e-commerce system can have regular updates. This is an important step to make the system and secure against any type of threats. Drupal Commerce is available for free use. If we talk about, Magento and WordPress communities, the developer need to pay for the "premium" plugins or modules. Do not doubt it supports, Drupal community one of the best. The customization option makes Drupal Commerce different from other store e-commerce tool. This means storekeeper can customize according to their business needs, which is not possible in another e-commerce system like SaaS systems. We at Root Info Solutions, enthusiastic to render engineering-lead web and mobile user experience. Understanding the crucial need for engagement and brand awareness endeavors of businesses, we set a benchmark for more than a decades. Interested to make your website more dynamic and user-friendly, hire Drupal developer highly experienced to deliver Drupal development services to meet your exact requirement depending upon the latest trend and user’s expectation. To explore our work, you can have an insight on our latest Drupal project- Briggs Freeman.